The Union Cabinet today approved the introduction of a Bill in the Budget Session of Parliament to amend the Registration of Births and Deaths Act, 1969 to include registration of marriages as well, so that the existing administrative mechanisms will be able to carry out such registration of marriages in accordance with the specified procedures and be able to maintain necessary records and statistics for registration of marriages also. The Cabinet also approved introducing a Bill in Parliament to further amend the Anand Marriage Act, 1909 to provide for registration of marriages under the Act. The proposed Bills will be beneficial for the women from unnecessary harassment in matrimonial and maintenance cases. It will also provide evidentiary value in the matters of custody of children, right of children born from the wedlock of the two persons whose marriage is registered and the age of the parties to the marriage. The Hon`ble Supreme Court vide its judgment dated 14.02.2006 in Seema Vs. Ashwani Kumar (AIR 2006 S.C 1158) has directed the State Governments and the Central Government that marriages of all persons who are citizens of India belonging to various religious denominations should be made compulsorily registerable in their respective States where such marriages are solemnized and inter alia directing that as and when the Central Government enacts a comprehensive statute, the same shall be placed before that Court for scrutiny. The Committee on Empowerment of Women (2006-2007) in its Twelfth Report (Fourteenth Lok Sabha) on “Plight of Indian Women deserted by Indian husbands” has viewed that all marriages, irrespective of religion should be compulsorily registered and desired that the Government to make registration of all marriages mandatory, making the procedure simpler, affordable and accessible. The 18th Law Commission of India in its 205th Report titled” Proposal to Amend the Prohibition of Child Marriage Act, 2006 and Other Allied Laws” vide paragraph (iv) recommending that “registration of marriages within a stipulated period, of all the communities, viz. Hindu, Muslim, Christians, etc. should be made mandatory by the Government”. The 18th Law Commission of India further in its 211th Report titled “Laws on Registration of Marriage and Divorce- A proposal for consolidation and Reform”, recommending for a Parliamentary Legislation on Compulsory Registration of Marriages by enacting of a “Marriage and Divorce Registration Act” which may be made applicable to the whole of India and to all citizens irrespective of their religion and personal law and without any exceptions or exemptions”. The Registration of Births and Deaths Act, 1969 (18 of 1969) is an Act to provide for the regulation of registration of births and deaths and for the matters connected therewith. Accordingly, provisions have already been provided in the said Act for Registration establishment consisting of Registrar-General, Chief Registrar and Registration Division, District Registrars and Registrars. Further, procedures for registration of births and death and for maintenance of records and statistics are provided for in the said Act. Also, by virtue of the powers conferred under section 30 thereof, rules for compulsory registration of births and deaths have been framed by all the State Governments and Union territory Administrations. Therefore, if the said Act is suitably amended to include registration of marriages as well, then the existing administrative mechanisms will be able to carry out such registration of marriages in accordance with the specified procedures and be able to maintain necessary records and statistics for registration of marriages also. The registration of marriages of the parties under the proposed amendment would not affect any right recognized or acquired by any party to marriage under any law, custom or usage. Compulsory Registration of Marriages The Supreme Court vide its judgment dated 14.02.2006 in Seema Vs. Ashwani Kumar (AIR 2006 S.C 1158) has directed the State Governments and the Central Government that marriages of all persons who are citizens of India belonging to various religious denomination should be made compulsorily registerable in their respective States where such marriages are solemnized. Giving this information in written reply to a question in the Rajya Sabha this week, Shri Salman Khurshid, Minister of Law & Justice, said that it is not correct to say that the process of registration of marriages is cumbersome. The process for compulsory registration of marriage is worked out by respective State Governments and the Union Territory Administrations by making suitable legislation/ rules or by amending existing legislation/ rules on the basis of the situation obtained in their respective territories to make the process simple and easier. Hence, no separate action by the Central Government is considered necessary, Shri Khurshid said. THE recent judgement of the Bombay High Court setting aside the parallel proceedings for divorce of the Family Court, Pune, and upholding a divorce decree passed by the Court of Oakland, State of Michigan, USA, dissolving a Hindu marriage on the principle of breakdown, has evoked a new stream of thought with which this writer differs. The verdict, Kashmira Kale vs. Kishore Kumar Mohan Kale, 2011 (1) Hindu Law Reporter (HLR), 333, lending sanctity to a US Divorce decree in preference to proceedings under the Hindu Marriage Act between the same parties upsets the settled law. The parties married in Mumbai in 2005 according to Hindu rites lived in the US and intermittently visited Mumbai and Pune. In September 2008, the wife filed divorce proceedings in the US whose jurisdiction was challenged by the husband in the US. Simultaneously, in October 2008, the husband filed a divorce petition in the Pune Family Court, claiming it to be the competent forum for adjudication of their dispute. 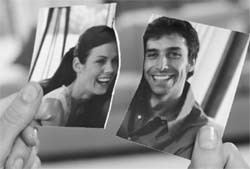 The husband did not pursue the wife’s divorce petition in the US any further and in January 2009, the US court dissolved the marriage and divided the assets of the parties. However, the Pune Family Court in September 2009 held that it still had the jurisdiction to try the husband’s petition for divorce in India. 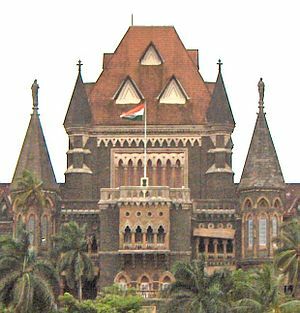 In appeal, the Bombay High Court set aside the Family Court order and upheld the US divorce decree dissolving the Hindu marriage. The conclusions drawn by the Bombay High Court that the parties were domiciled in the US and hence the Hindu Marriage Act (HMA) cannot apply to them is per se erroneous. The HMA’s non-application to Hindus was misconstrued and the application of the breakdown principle without considering the written statement of the husband challenging the US court’s jurisdiction were factors which did not lend a imprimatur to the foreign decree which did not take into consideration the HMA’s provisions under which the parties were married. Noticing that Section 1 (2) of the HMA applies only to Hindus in the territories to which it applies but not considering that it also “applies to Hindus domiciled in the territories to which this Act extends who are outside the said territories” left the contention only half noticed. In addition, Section 2 of the HMA prescribing application of the Act to Hindus, irrespective of domicile, nationality or citizenship, renders the judgement fallacious. Earlier precedents on the point enunciated by different High Courts stipulate that the HMA applies to all Hindus irrespective of domicile or residence if they have married in India according to Hindu rites. Thus, it has been held that the HMA has extra-territorial application as a Hindu carries with him his personal law of marriage and courts in India have jurisdiction to try their matrimonial disputes regardless of change of nationality or new domicile. The Bombay High Court in Sondur Rajini Vs. Sondur Gopal, 2006(2) HLR 475, had held that the HMA provisions do not cease to apply on change of domicile which is determined when the parties tie the nuptial knot under the HMA and not on the date when an application is made for matrimonial reliefs. In Naveen Chander Advani Vs. Leena Advani 2005 (2) HLR 582, the Bombay High Court held that the Pune Family Court wrongly declined to entertain a matrimonial petition relating to a marriage where parties who last resided and married in the US according to Hindu rites and ceremonies as the Family Court has jurisdiction to deal with matters under the HMA. Equally flawed is the Bombay High Court’s view that since the parties last resided together in Michigan, the US court has territorial jurisdiction to decide their divorce dispute. This conclusion falls foul of the settled law laid down by the Supreme Court in Jagir Kaur vs. Jaswant Singh, AIR 1963 SC 1521 that prescribing the limits of jurisdiction, speaking of last residence of a person with his wife, can only mean his last residence in India. It does not imply his residing with her in a foreign country for an Act cannot confer jurisdiction on a foreign court. The Bombay High Court in Meera vs. Anil Kumar 1992 (2) HLR 284 held that “last resided” in Section 19 of HMA implies last residence in India and the High Court in India within whose jurisdiction the parties last resided together can take cognisance of the matter. Flowing from the same stream of thought, the Punjab and Haryana High Court has held that any temporary residence would confer jurisdiction to try the matrimonial dispute. This settled view militates against the erred conclusion of the Bombay High Court that temporary stay at Pune or Mumbai could not mean last residence in India as parties last resided together in the US. 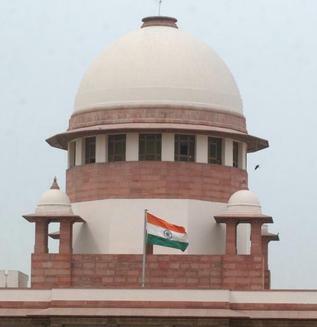 Above all, the Bombay High Court’s view disagrees with the Supreme Court’s celebrated view in Y. Narasimha Rao vs. Y. Venkata Lakshmi, 1991 (3) SCC 451 that the jurisdiction assumed by the foreign court as well as the grounds on which the relief is granted must be in accordance with the matrimonial law under which the parties are married. Three exceptions were culled out to this rule by the Supreme Court. First, permanent foreign residence and invoking of relief on a ground available in matrimonial law under which parties were married. Secondly, voluntary submission to foreign jurisdiction coupled with contest on merits abroad on grounds available under matrimonial law under which parties were married. And thirdly, parties unconditionally consent to grant of relief although the jurisdiction of foreign court is not in accordance with the provisions of matrimonial law of parties. The Apex Court in Neerja Saraph vs. Jayant Saraph 1994 (6) SCC 641, thereafter had suggested feasibility of a legislation to hold that “no marriage between an NRI and an India woman which has taken place in India may be annulled by a foreign court”. Not noticing the Supreme Court’s above precedent, the recent view of the Bombay High Court per se appears to be disagreeable if not per incuriam. With due deference, the Bombay High Court order does not agree with the precedent, adapt to Hindu law of marriage of the parties or is it conclusive. Parties may be treated as divorced in the US and still married in India. The line of action adopted in a number of matrimonial disputes in the Punjab and Haryana High Court is most useful to quote. Limping marriages are taken before the Mediation and Conciliation Centre at the High Court premises where the hatchet is peacefully buried and matters are amicably compromised to convert the matrimonial feuds to divorce petitions by mutual consent. Matters thereafter rest without contest on written settlements. Warring claims are put to sleep harmoniously. This is the better path than allowing foreign courts to decide on Hindu marriage disputes without conflict of laws. Indian courts are better suited to decide them without foreign interference. Domestic law must prevail. Author of “India, NRIs and the Law”, and co-author of “Acting for Non-resident Indian Clients,” the writer is Supreme Court Advocate and Member, UT NRI Cell, Chandigarh. Is it an offence to cohabit with a woman after inducing a belief of marriage in her? Is it an offence to back out of such a relationship? Supreme Court (SC) judges Markandey Katju and Gyan Sudha Mishra are divided and want a larger bench to decide the matter. Chief Justice of India (CJI) SH Kapadia will soon take a call on setting up such a bench to put at rest the controversy over an ‘illegal’ act and ‘indecent’ behaviour. Katju and Mishra differences have emerged over an appeal filed by Ram Chandra Bhagat, who was convicted by a trial court and the Jharkhand high court for committing an offence under IPC section 493 (cohabitation by a man after deceitfully inducing a belief of lawful marriage in a woman). The section also says every man who by deceit cohabits with a woman who is not his wife on the assurance that they are a legally married couple is liable to be punished with imprisonment up to 10 years. Mishra found no ambiguity in this provision. She agreed with Katju on the limited issue that law and morality might stand on different footings. But in her perception they are “inextricably linked”. Mishra also said a legal decision could not be based purely on morality.Katju, however, said often an act may be regarded immoral by society, but it may not be illegal. He offered a different interpretation of section 493 IPC that it is meant for couples legally married under Hindu Marriage Act.Revenue officer Bhagat lived like a couple with Sunita Kumari for years and they had two children. Sunita accompanied him wherever he was posted. He had filed an affidavit with the authorities that they were a married couple. The voters list too shows this. However, he kicked her out of home in 1990. She lodged a criminal complaint and the courts convicted Bhagat, saying he had committed fraud and cheated Sunita. Bhagat has not behaved like a “gentleman”. He lived with Sunita for nine years and had two children with her and “hence as a decent person he should have married her, which he did not do”, they said.